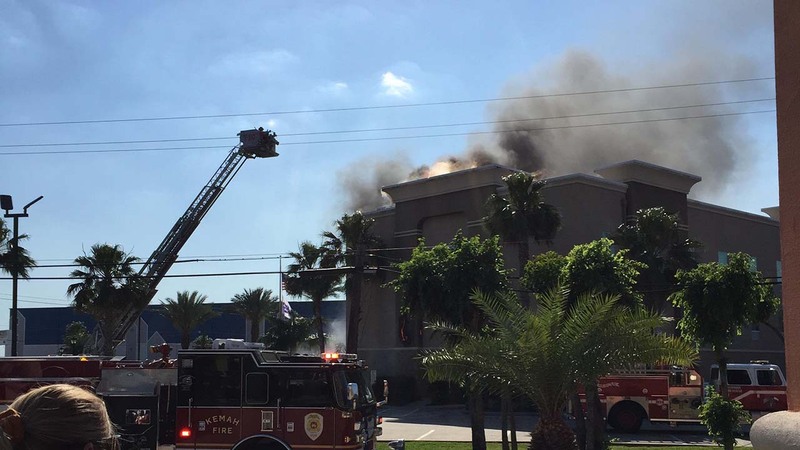 SEABROOK, TX (KTRK) -- Firefighters are monitoring a Seabrook hotel, which went up in flames last night. One-hundred firefighters from 10 departments responded to the fire. It started around 4:45pm at the Hampton Inn on NASA Road 1. Firefighters were able to get the flames under control by 9:30pm. Fortunately, there were no injuries reported. Seabrook Volunteer Assistant Fire Chief Andrew Gutacker says when firefighters responded to the fire call, heavy smoke was already billowing from the roof so they immediately pulled three alarms. Firefighters quickly evacuated everyone and immediately went into defense mode. A fire boat also was called in, pumping 3,000 gallons of water out of the bay and into the trucks. "I think that it's like chaos," witness Lance Nutter said. "You just saw these flames coming everywhere around it." Gutacker says previous claims of a gas smell inside the building appear to be unfounded, but once authorities deem it safe to re-enter the building, the Harris County Fire Marshal's Office will begin an investigation to determine where the blaze started and its cause. According to the Seabrook mayor, the hotel was about 60 percent occupied. 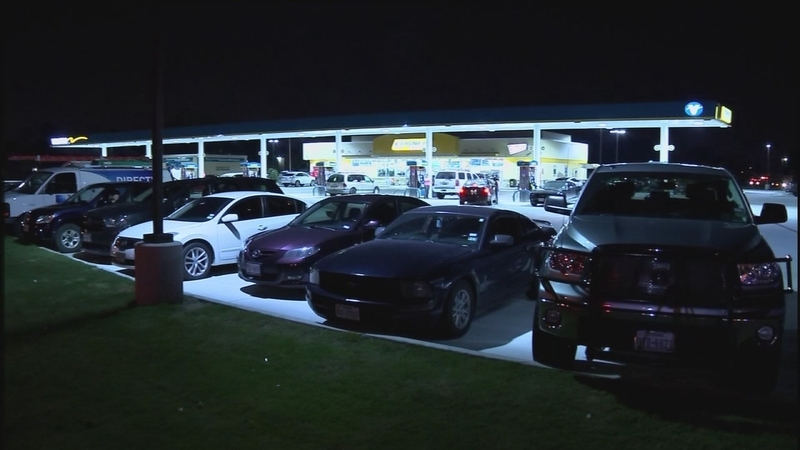 Guests have been waiting at a nearby gas station to hear what happens now. Residents from a nearby apartment complex who can't get home are also there, waiting for instructions. "When we left the apartment at 5:15, the fire had just started. The smoke was kind of thick but we got out anyway and then when we were on our way home, the road was blocked and they weren't letting anybody back so we're just kind of hanging out and waiting," said Erica Saenz with her son, Evan, 6. Another resident of Edgelake Apartment Complex was concerned for her cats she had left behind. "I'm concerned because I have pets. I have two kitties and my windows are open and I'm just beside myself," Ann Meadows said. Portions of NASA Road One between the 2500 to 3500 blocks were closed in both directions while crews fought the fire. LeaAnn Dearman with the City of Seabrook said this fire should not affect the weekend's Keels & Wheels Concours d'Elegance.